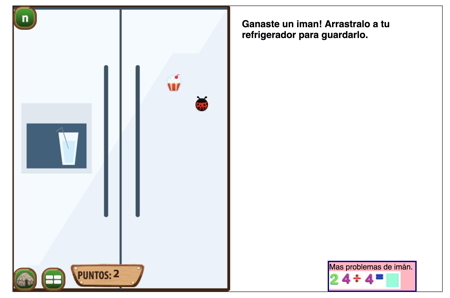 Home » Blogs » Cultural content » To Solve a Math Problem (in Spanish or English): Visualize! One book I highly recommend for anyone who teaches math above the the fourth grade level, all the way up to doctoral students, is Writing to Teach Mathematics and Science. Connolly and Vilardi give a TON of ideas, including drawing out the problem. Students were so engaged with (meaning they didn’t whine and quit watching!) with videos from Spirit Lake: The Game that we also included a couple of these in Making Camp – Bilingual. The video explains that one way to solve a problem . This video shows how visualizing a problem can make it simpler to solve if you use objects to imagine amount of numbers being counted in certain problems. Este video te enseña cómo visualizar un problema te ayuda a resolver un problema más fácilmente si usas objetos para imaginarte cantidades de números en ciertos problemas. Check here for another bilingual problem-solving resource – make it an easier problem.